Conditional Menus is a simple yet useful WordPress plugin developed by Themify, which allows you to swap the menus in the theme as per specific conditions. In short, you can have different menus in different posts, pages, categories, archive pages, etc. It works with any WordPress theme that uses the standard WordPress menu function. The plugin is very simple to use. 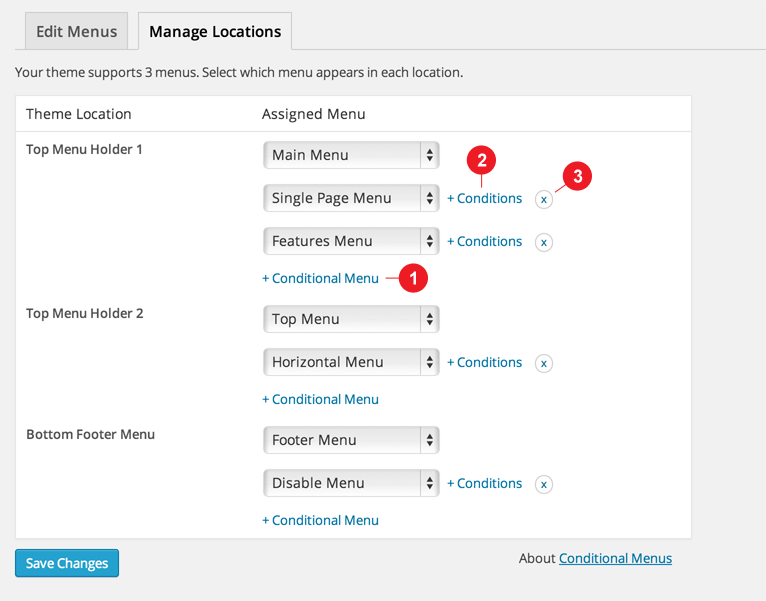 Once you activate the plugin, you will see the conditional menus on the Manage Locations tab located in your WP Admin > Appearance > Menus page. You can remove the menu by selecting "Disable Menu" from the list.